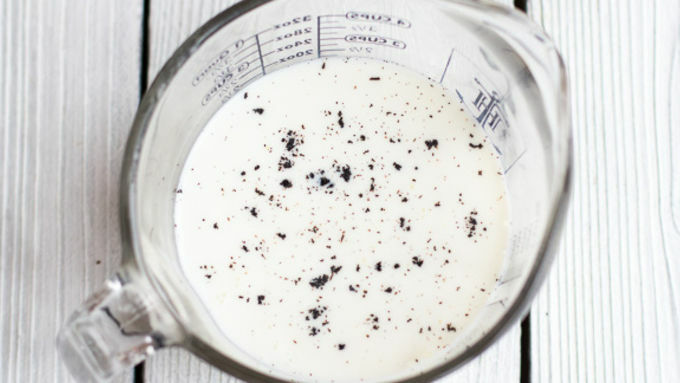 In a large bowl add the sweetened condensed milk, milk, vanilla bean seeds (if using) and vanilla. Whisk until completely combined. 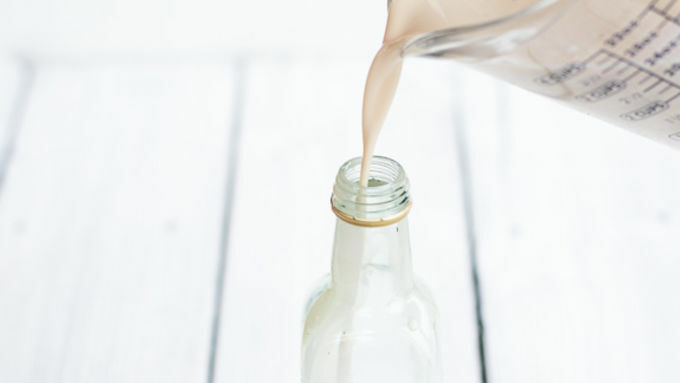 Pour into clean glass bottles or whatever you want to store the creamer in. 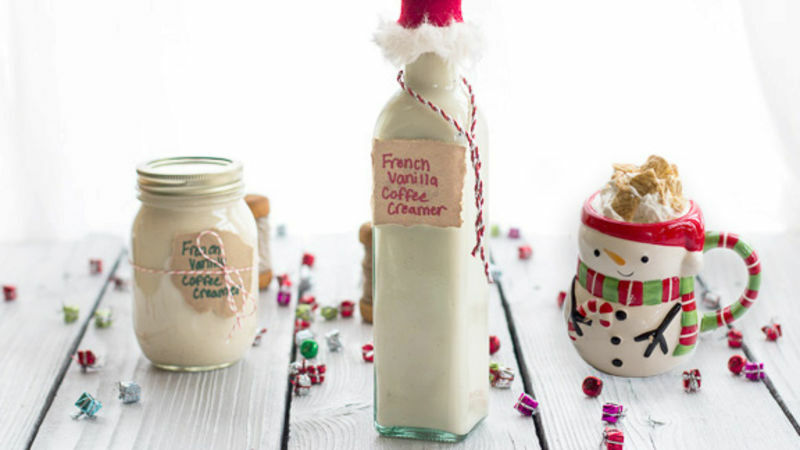 If using vanilla beans, you can add the emptied beans to the jars to infuse additional flavor. Store creamer in the fridge for up to one week. 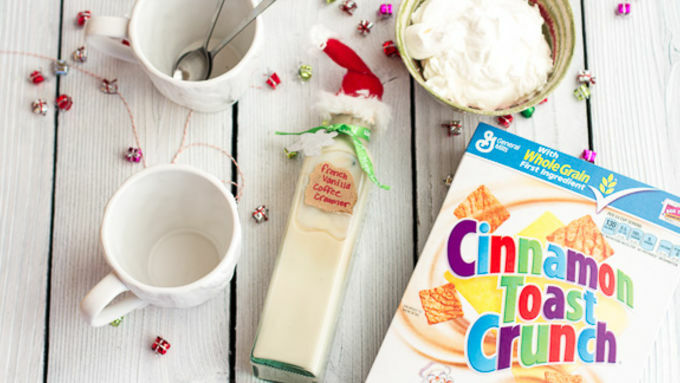 You can decorate the bottle and give these as a gift, serve it in a mug with a dollop of whipped cream and crushed Cinnamon Toast Crunch™ cereal, or add a splash to your coffee! So tasty! I just might have to make a batch tonight.